We said she was a no-nonsense girl, sensible yet no 'Plain Jane'. We said she was sturdy, good legged... but still classy. Trained by Duncan McKenzie, bred and raced by Backworth, we are thrilled with Exhalted's win over 1000m at Fairview Monday. 5 Winners in 4 Weeks! The form of Backworth-breds continues to flourish as we move into February with five winners in the past four weeks from not many runners! Spectacularus won in somewhat ‘spectacular’ fashion over 1000m on the polytrack Friday at Fairview for trainers Duncan McKenzie and Des McLachlan with jockey Muzi Yeni up. 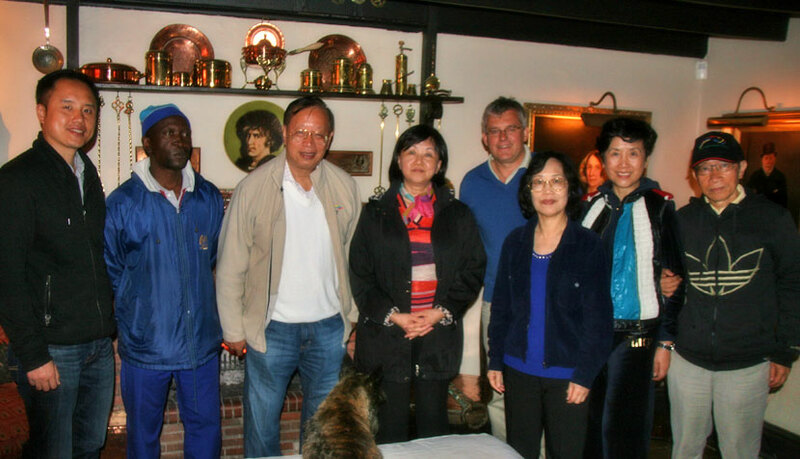 Backworth welcomed the visit from a Hong Kong delegation last week, organised through the enthusiastic efforts of Peter Gibson from Racing South Africa. They braved the rain and thick mist to join us for drinks and a visit to the stable yard, but sadly just missed a foaling - King’s Chapel / Collection Prive. We are so appreciative of these visits by interested people from the international community, and look forward to welcoming many more!